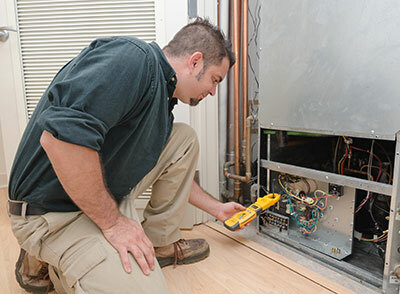 Boerne Air Conditioning Experts provides quality AC replacement and repairs in Helotes, TX and the surrounding areas. If your air conditioning system is at the point where replacement is the best option, then typically early spring—before the start of summer—is the best time to have the new unit installed. It all comes down to a matter of good timing. You want to have your air conditioner installed before the hot weather of summer hits and with sufficient space to have any possible problems worked out ahead of time. Spring is the season when homeowners usually have regular AC maintenance done, and that makes it the right time to have a full replacement done. Scheduling the work is also simpler during the spring. We’re enjoying mild warm temperatures currently, which means there will be fewer heating or cooling repairs people need to arrange with us. Our calendars have more free spots for our technicians to handle the large job of installing air conditioners. When you schedule your air conditioning installation at this time of the year, you’ll have little problem finding a convenient appointment. Once your AC replacement has been installed, it’s important to take additional steps to help increase the energy efficiency in your home throughout the summer months. Turning the AC on full blast, using more water, and running fans all day can all end up costing you, but there are ways you can help. First, consider cleaning around outdoor condenser unit. Your outdoor unit will work most efficiently if it is clean and clear of debris. You should also vacuum your indoor vents and keep vents unblocked. You can vacuum dust and any debris away from indoor supply vents to help maintain steady airflow from your system. Also, keep items like blinds, furniture and toys away from blocking the vents. If you can, you can also try to increase your thermostat by a few degrees. Typically, adjusting temperatures 5 – 8 degrees (down in winter, up in summer) can help save money and energy. With a programmable thermostat, you can automatically adjust the temperature for different times of the day or during times you are going to be away from home for several hours. Be sure to keep lamps and other heat producing appliances away from your thermostat. 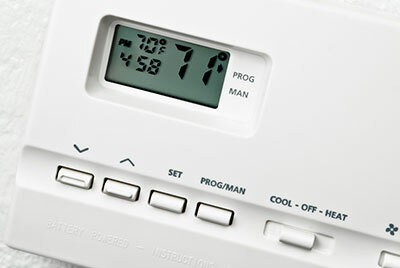 Having heat producing appliances near your thermostat will tell it that the air in your home needs to be cooled more, causing the system to run longer and work harder than it may need to. Don’t forget to keep your curtains and blinds closed in the heat of the day. When direct sun hits the windows in your home, keeping your curtains or blinds closed can keep some of the heat from warming the inside of your home. Lastly, avoid using your dryer and oven in the hottest hours of the day. Running your dryer will cause warm air to be drawn into your home and using your oven will add additional warm air to your home, causing your air conditioner to have to work harder. If you’d like more tips, feel free to reach out to one of our team members at Boerne Air Conditioning Experts.